‘We are genuinely open to anything: anyhow, any why, anywhere’, is how Artangel’s co-director Michael Morris explains the Artangel Open call. The Open is a £1million commissioning initiative that actively solicits the ‘boldest and most ambitious site-specific ideas’ from artists in the UK. By keeping the submissions policy as wide open as possible, the judges hope to catch some wild and unusual ideas that might otherwise have gone astray. It’s worked in the past. Artangel Open picked Jeremy Deller’s The Battle of Orgreave and Michael Landy’s Break Down as the first two commissions in 1999: iconic works by artists who owe their current fame in part to the projects. All of the commissions to date are listed below. 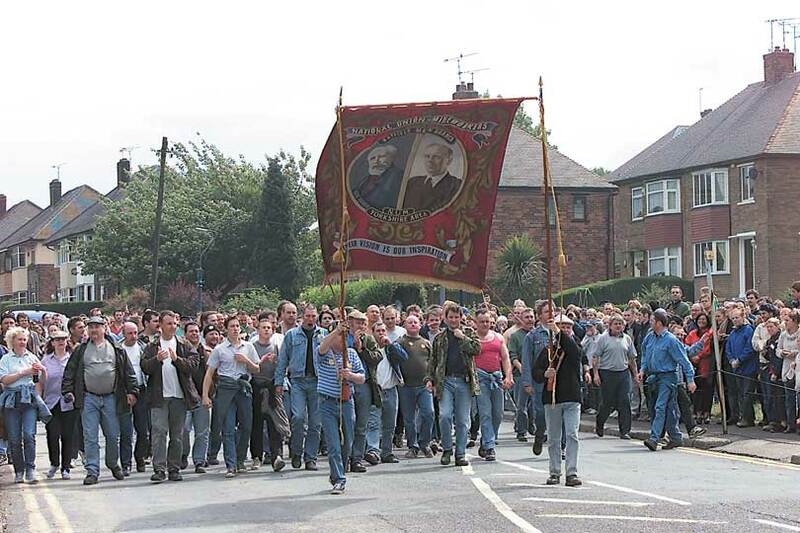 Deller’s Battle of Orgreave is a historical re-enactment of a clash between miners and police during the 1984 strikes. Orchestrated by Howard Giles, it was a spectacular event that asked pertinent questions about how modern history is written and remembered. For this landmark work, Landy made an inventory of everything he owned, before destroying it publicly at the closed C&A department store on Oxford Street – the ultimate vanitas piece. 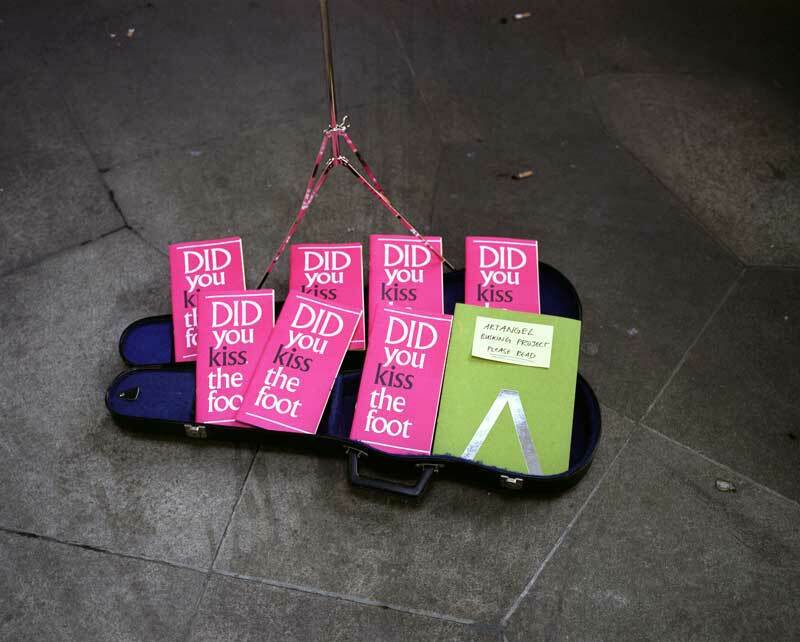 For a week in 2007 over 100 buskers incorporated Ewan’s Ballad of Accounting into their usual repertoire of songs; a subtle intervention into the daily commute. 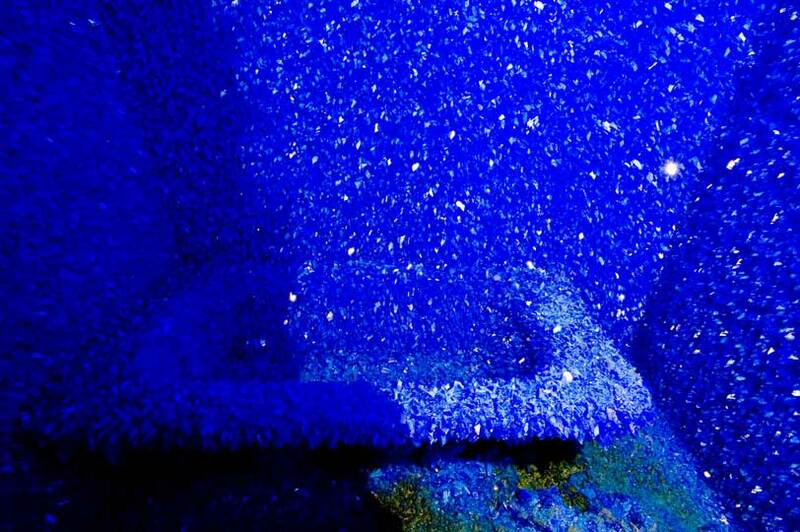 Hiorns pumped 90,000 litres of copper sulphate solution into a condemned council flat near Elephant & Castle and left it for a month to create Seizure. The flat’s resulting crystalline interior, both beautiful and sinister, drew large numbers of visitors and has since been reconstructed at the Yorkshire Sculpture Park. In July 2009 a series of life drawing classes were aired on Channel 4, taught by John Berger, Judy Purbeck, Maggi Hambling, Gary Hume and Humphrey Ocean. By beaming the lessons into people’s homes, Kane hoped to open up art education to people who wouldn’t otherwise have sought it out. Barnard’s film revisited the Buttershaw Estate in Bradford, where playwright Andrea Dunbar had died tragically in 1990, aged 29. The artist’s interviews with Dunbar’s daughter Lorraine, other family members and residents formed the basis of a screenplay that revealed the history and character of the estate, and how it had changed over 30 years. 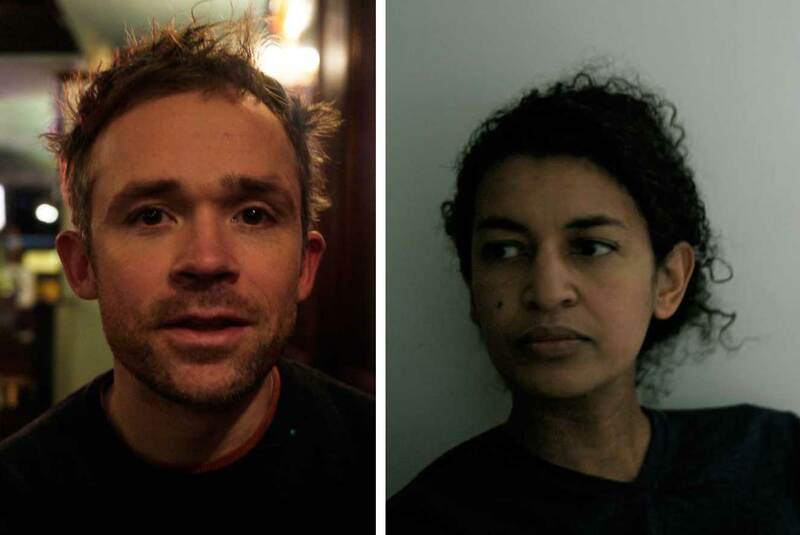 Palmer and Rivers were awarded their Open commissions last year, and their projects have yet to be realised. Palmer, the author of The Dark Object, will ‘excavate’ a site in England through words and installation; Rivers will create a film that treads the margins – of society, and of fact and fiction. The Artangel Open deadline is 28 February 2014.